Choosing a piano for you and your family is a big decision. You will not get the same experience from every piano, so it is important to do a little research before making a purchase. So, what are some things you should consider? It may seem odd to think of a piano as a piece of furniture, but that is exactly what it is when it isn’t being played. A piano should complement your home and enhance your décor – it should also fit into your space! A piano is a very large instrument. The amount of space available in your home may be the deciding factor in which piano to choose. Clavinovas offer a wonderful, modern take on a classical instrument. With the power of digital technology, these pianos offer a range of unique benefits and features which a traditional piano does not. 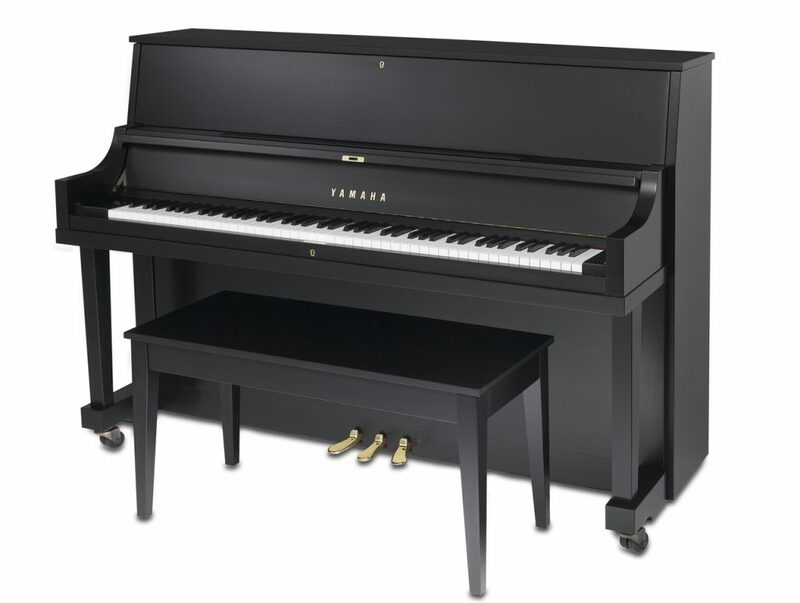 The Yamaha Clavinova integrates tone, touch and pedals seamlessly into an instrument which can reproduce an exact performance the player intends. 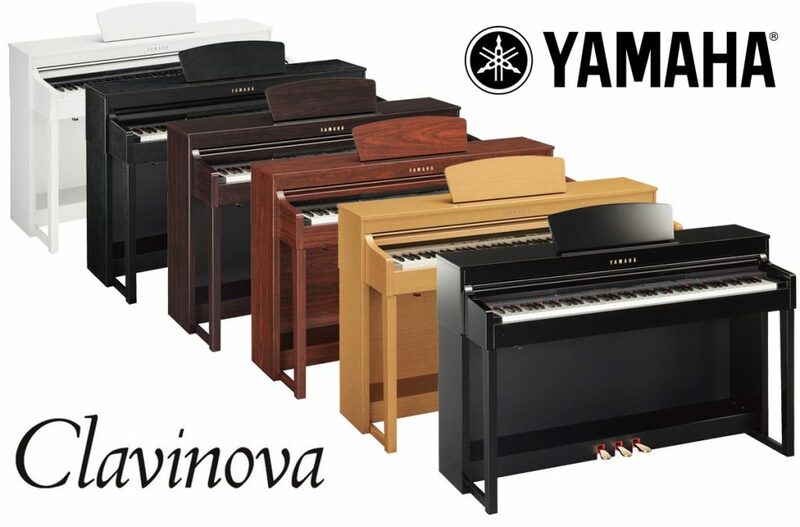 Yamaha Clavinova pianos fit any budget, require very little space, are altogether easy to work with, and a joy to learn and practice on. Real Grand Expression (RGE) allows you to play and feel as though you are playing a grand piano, at a fraction of the cost and space. Thoughtful attention to design and features offer an unmatched playing experience with any Yamaha Clavinova. A digital piano is also easy to move weighing in at 100-200 pounds. In an upright piano, also known as the vertical piano, the strings are mounted vertically, as opposed to the grand. Upright pianos are commonplace for use in the home as they occupy much less space and produce ample volume for the living room. Vertical pianos come in four different height ranges and are designed to be placed against a wall. String length increases as the piano becomes taller and thus the tone is improved. The keys and action mechanism are also different across the different sizes of upright pianos for sale. For instance, better responsiveness is obtained in a direct blow action found in consoles and larger sizes of vertical pianos for sale. Meanwhile, spinet actions, sometimes referred to as drop actions, are good for the beginning pianist but depending on the advancement in musicianship, an upgrade may become necessary. Grand pianos are instantly recognizable for their beauty, distinct appearance, and sound. The action within the grand piano is capable of faster repetition and more precise control, giving way to greater expression than that of a vertical piano. 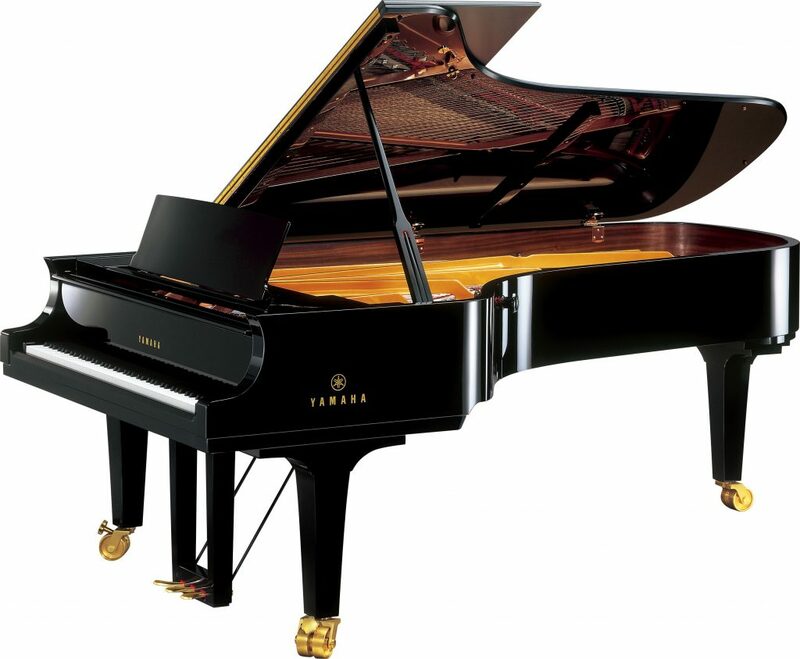 The tone quality of a grand piano is also more fully developed. Grand pianos have their strings positioned horizontally. They usually have 3 legs but some have more. Grand pianos generally range in size from 4 1/2 feet to over 9 feet long, and they come in many different cabinet styles, shapes and finishes. A hybrid piano has the perfect touch of an acoustic piano action, and the amazing sound reproducing qualities of a digital piano sound engine. The refined touch and response of the Yamaha AvantGrand offers all the features of an acoustic grand piano. The sound of a perfectly tuned Yamaha concert grand reproduced by the specially designed and placed speaker system of the AvantGrand ensures that the sonic accuracy gives an extremely rich natural resonance. 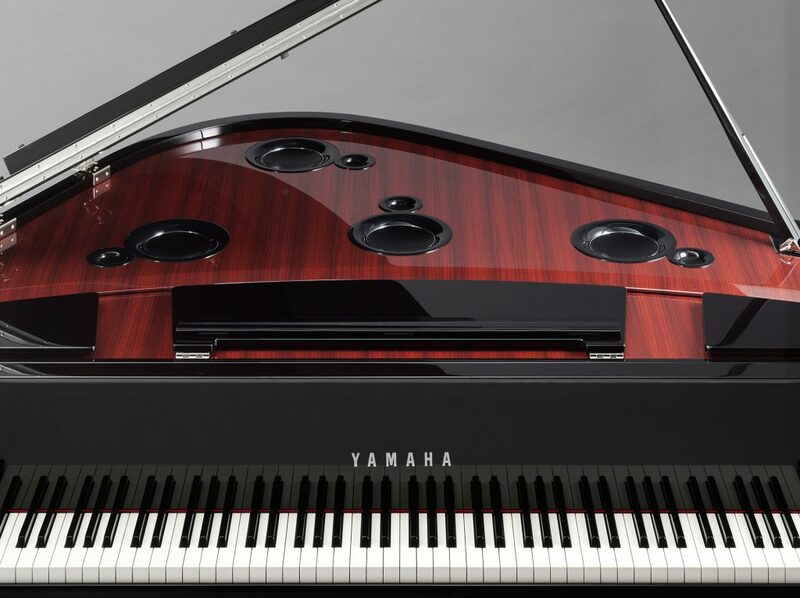 Additional features such as the Tactile Response System, which recreates the sensation of vibrations throughout the pianos body, keys and pedals, the Soundboard Resonator, which transmits vibrations to the flat-panel soundboard via a transducer, and the Specially Designed Pedals that replicate any subtle pedaling for extreme expression all give the Yamaha hybrid piano the ultimate experience for your inspiration. A hybrid has all these features in an instrument without imposing limitations on where or when you play. How you feel playing a piano cannot be underestimated. It can help to take notes when trying out pianos. Write down the model and serial number and then take notes as you play. Do you like the sound? The feel of the keys? You can even have someone else play so that you can stand back, listen, and take notes. WHO WILL PLAY THE PIANO? Are you just beginning to learn to play the piano? Or are you purchasing your piano for your child? An upright piano takes up less space and will serve your needs. Grand pianos have a distinct beauty and a full sound. Clavinovas & Hybrids offer the convenience of no maintenance and connectivity. If your child sticks with the piano over many years, you may want to upgrade and we will be happy to take your instrument back on trade depending on condition when that time comes. Everyone’s situation is different, so be sure to talk to us about why you are purchasing a piano and what you hope to get out of it. What is your purchase and return policy? Are you a musician? How long have you played the piano? Are you a Registered Piano Technician (RPT)? Can you provide me with any testimonials? Do you have your own repair shop? It is important to hire a Registered Piano Technician to assess a piano before you buy it. A ‘cheap’ piano can end up being very expensive if it will mean completely rebuilding it in order for it to be playable. You can read about the Piano Emporium staff by clicking here. Yes, you can rent a piano! There are many advantages to renting a traditional piano before purchasing one, and it’s the best long-term option for beginning piano students. Buying a piano is a permanent investment, yet renting one allows for no loss of use should a new student change his or her mind. At Piano Emporium, we offer easy, monthly piano rentals on certain instruments. There is a 6-month minimum commitment to rent and in month 7 you can make the decision to purchase or simply stop renting with no further obligation. We hope this article will help you choose the piano that is right for you. Please don’t hesitate to call us or drop by either of our showrooms if you need further assistance. We look forward to providing you with more information, and helping you find the beautiful piano you’ve always wanted.